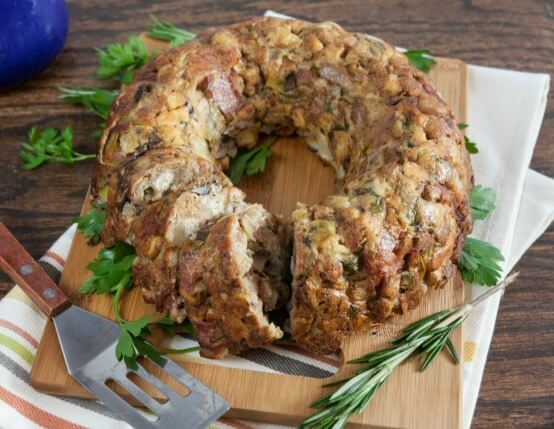 Put your bundt pan to use with this savory bacon stuffing cake that’s packed with caramelized leeks and crimini mushrooms. Heat the oven to 400˚F. Spray bundt pan with cooking spray. 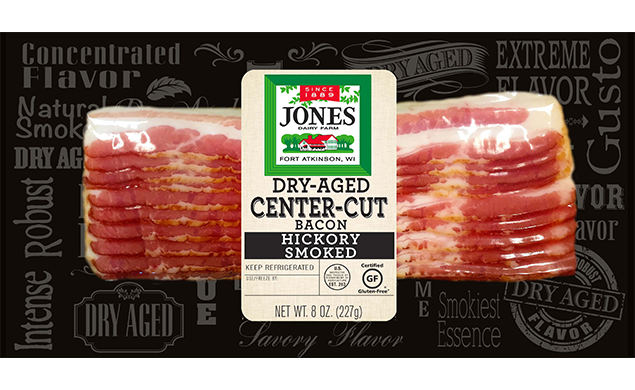 Slice bacon into 1-inch pieces. Place in large skillet over medium heat. Cook 8-10 minutes, or until fat renders and bacon begins to crisp around edges. Use slotted spoon to transfer bacon to paper towel-lined plate. Reserve bacon drippings. Add leeks, celery and mushrooms to pan. Cook over medium heat for 10 minutes, or until soft. Add vegetable stock and bring to simmer. Stir in parsley and thyme. In large mixing bowl combine bread, bacon and vegetables with broth. Mix well; season with salt and pepper. Add beaten eggs and mix well. Transfer stuffing into prepared pan. Use spatula or heavy spoon to press down on stuffing and eliminate any air pockets. Bake 30 minutes, or until dry and golden brown around edges. To serve, invert stuffing cake onto platter and cut into slices.